For a country that consists of more than one billion people as its citizens, India has always been left out of the hall of fame in the game of football, unable to contribute a notable name to the world of the game. 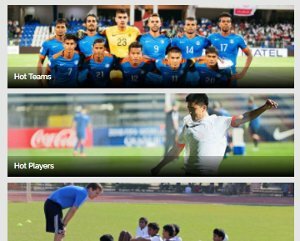 However, with the present set of young football players at their disposal, India is currently looking forward to reclaiming their former glory of being an Asian footballing powerhouse. 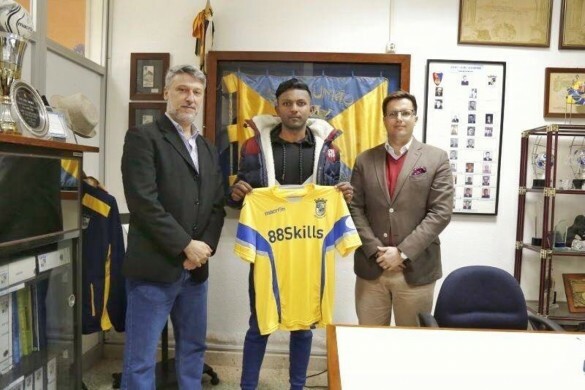 One of these players being Abneet Bharti; the first Indian defender to play and sign for a European club talked to Khel Now’s Kushankur Rony Rakshit about his career and his journey to his current club, Sport União Sintrense, a Portuguese club based in Sintra of Lisbon district. Kathmandu-born Bharti started his youth career as a defender at Geylang International FC in Singapore but went on to play for the senior side later as well. He left the S-League club for their league rivals, Balestier Khalsa. He then went on to a trial at a Polish club, TS Podbeskidzie Bielsko biała where he was offered a professional contract. However, his career took a dramatic turn in 2014 when the young defender moved to Spanish second division club, Real Valladolid where he played for the club’s youth academy. 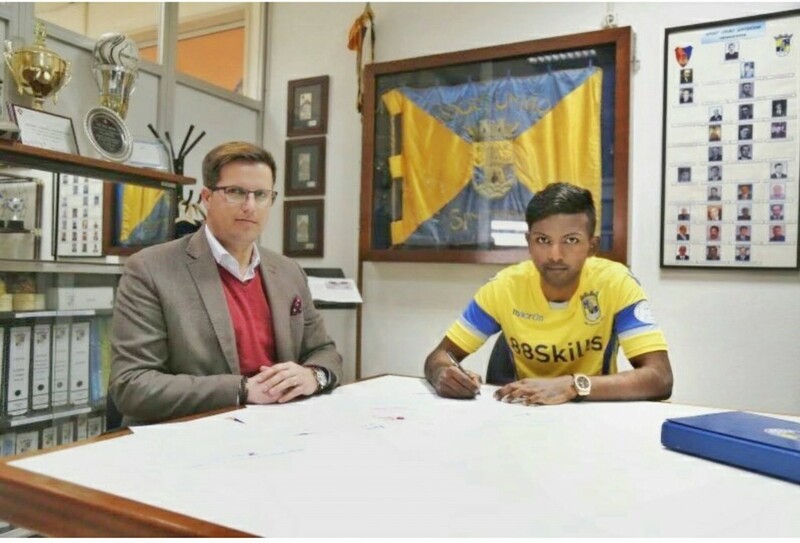 Bharti became a hot prospect in the European football market while playing for the Spanish club as several European clubs such as RSC Anderlecht, 1860 Munich, Eintracht Frankfurt and SV Darmstadt 98 tried to sign him. However, FIFA regulations which prohibited minors from outside the EU signing professional contracts at European clubs denied him the opportunity to show his skills for European powerhouses. Bharti signing his contract at the club in Lisbon. The 18-year old who excels in several defensive positions but prefers to play as a central defender and debuted against Portuguese giants Sporting Lisbon’s B team on Thursday in a game which concluded in a draw between the two teams in a 3-3 showdown. 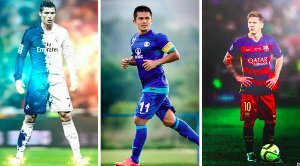 Bharti started as a right-back against the Portuguese giants, who signed another Indian footballer and a legend, Sunil Chhetri in 2012. Born in the Nepali capital, Bharti is eligible to play for Nepal and India as he holds an Indian passport. However, it is yet to be seen what colours he chooses when the opportunity comes calling, “I am open to both options but haven’t thought about it much,” Bharti revealed. Like many other talented young prospects playing in Europe currently, Bharti wants to try his potential out for the top European clubs. However, it remains to be seen how the transition from youth to experience turns out in the future.